Marjory Thomas Fuller was born January 4, 1928 in Arkansas City, KS to William and Viola Thomas. A beloved daughter, sister, wife, mother and grandmother, she died on January 14, 2019. She is predeceased by her husband, Dr. William Samuel Fuller, her daughter, the Rev. Heidi Lynne Fuller, her parents and sister, Bernyce Kaaz. She is survived by her children, Grant, Tom, Dirck (Lynne); sisters JoAnn McCallum (John), Nancy Jarvis, Judi Thomas; brother Doug Thomas (Deborah); grandchildren, Kate Fuller and Anna Mitchell-Bain (Matt); great-grandson, Matthew; son-in-law, Rev. Stuart J. Mitchell (Martha); and great aunt Jean Hill. Marj graduated from Ottawa University, did post-graduate work at Westminster Choir College, Princeton, NJ and received a Master of Music in Voice Performance from Indiana University, Bloomington, Indiana. Marj’s singing career included: leads in nine operas, including Don Carlo (Eboli), Carmen (Carmen), Falstaff (Dame Quickly), King & I (Anna). She sang in Madame Butterfly (Suzuki) and Fledermaus (Orlofsky) with the Opera Society of Washington (D.C.). Soloist with Robert Shaw and the Atlanta Symphony, Evansville Philharmonic, Indianapolis Symphony, United States Air Force Symphony, Tri-City Symphony (Binghamton), Albany Symphony (Mahler Fourth). She sang twice at the White House and performed major oratorios in Lincoln, NE, Cincinnati, OH, Washington D.C., Indianapolis IN, El Dorado, AR, Omaha NE, and the Albany NY region. Marj integrated her illustrious music career into her life as a wife and parent to four active children. She was introduced to Bill in 1948 on a college choir tour and they agreed to write to each other while they were on choir tours. They were married June 11, 1950 in Arkansas City, KS. As Bill was working towards his Masters in Music Education at North Texas State University, Marj served as the director of religious education for the Northway Christian Church in Dallas. During their educational stint at Indiana University, Marj also served as director of Christian education at the First Baptist Church in Bloomington, IN. She served as instructor in voice at DePauw University in Greencastle, IN between 1957 and 1964 with breaks for various out of state moves. In 1967, during Bill’s tenure as Associate Commissioner of Higher Education for New York State, while raising her family, Marj became a lecturer in voice at SUNY Albany and served in that position for 10 years. She was adjunct faculty in voice (concurrently with SUNY appointment) at College of Saint Rose, Albany, NY from 1973 to 1977. Marj and Bill developed a new music program at Emmanuel Baptist Church. Following Bill to Lincoln, N.E. 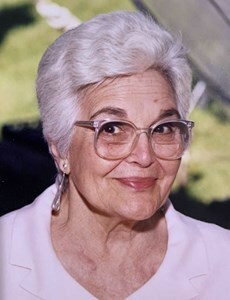 where Bill served as Executive Director of the Nebraska Coordinating Commission for post-secondary education, she taught at Union College in Lincoln and was a visiting lecturer and voice teacher at the University of Nebraska at Omaha. She began a second career in real estate in Lincoln blending her love of talking to people and getting young families into homes of their own. The Fullers were active members and choir directors of the First United Methodist Church in Lincoln. When Bill became the Director of Higher Education Facilities in Connecticut, Marj continued her work as a real estate broker. They returned to Westminster Choir College in 1987 as President and Marj-in-Charge to help it transition to new leadership. They retired in 1990 to build their retirement home in the Berkshires and moved in 1991. They became active members of The First Congregational Church, UCC in Stockbridge, Massachusetts and were beloved members of an accomplished choir. In early 2012, Bill and Marj moved to Beverwyck, a senior living community near Albany, NY. Bill died in April, 2012 with the knowledge that Marj would be well cared for and engaged in an active senior community. Marj enjoyed daily interactions with a legion of friends the Fullers knew from their long relationship with Emmanuel Baptist Church in Albany. Marj loved engaging conversations, current events, music, family stories and especially, good food. She was a warm and welcoming hostess and amazing cook. In lieu of flowers, the family requests that memorials be made to the Rev. Heidi Lynn Fuller Ministry Support Fund, Inc. at 312 Berkeley Street, Rochester, NY 14607 or the William and Loyda Fuller Endowed Scholarship or the Rev. Heidi Lynn Fuller Endowed Scholarship at Westminster Choir College at 101 Walnut Lane, Princeton, NJ 08540. Messages of condolences may be sent to Grant Fuller (gfuller@myfairpoint.net), Tom Fuller (fuller_tom@hotmail.com), Dirck Fuller (dirck.fuller@gmail.com), and Anna Mitchell-Bain (amitchell114@hotmail.com). We are planning a celebration service at Emmanuel Baptist Church on Saturday, April 20, 2019 at 10am. A lunch will follow at Marj’s retirement home at Beverwyck. For more information contact Rev. Stuart J. Mitchell at (585) 340-3368 or smitchell@pathstone.org. Add your memories to the guest book of Marjory Fuller. Dr. and Mrs. Fuller were the President and "Marj-in-charge" during my time at Westminster. I really did love them both because they were so approachable and entertained students at there home on a regular basis. Both attended my Senior Recital, and were so complimentary of my repertoire and accomplishment. I was just so happy that they actually came and they just kept thanking me for inviting them! Mrs. Fuller said, "I wish students would invite us more! We're not so busy that we wouldn't come!" I told everyone to always include them in their invitations from then on. I am so saddened to hear of dear Marj's passing. Some years ago she joined my wife Kathleen in " I Waited for the Lord" and Bill did the narration for Tom Scott's "The Creation" at St. Mark's Episcopal Church. This visit from the two of them was a highlight of my ministry in Canton OH (hometown of Dr. Williamson, Westminster's founder). Through the years Bill, and then, after his death, his Marj, kept in touch - such great memories of a remarkable couple who so enriched so many lives. My deepest condolences to the family. I only met Mrs. Fuller (and Dr. Fuller) once and that was at a Westminster Choir College alumni dinner. Don't remember the year but Dr. F was president. I was impressed that they were not sitting at a head table but at a regular table among other alumni and it happened to be our table. They were so warm to us, just ordinary people, and chatted with us as if we had always been friends. I have always treasured that meeting. It is the world's loss to lose people like that. And what a remarkable life your mother (and father) had. Thank God for people like them. William and Marjory Fuller were serving as President and Mar- in - charge in September of - 1987 when I arrived as a 50 yr old freshman. They were vivacious, entertaining and always welcoming you into their home which was on campus. As an adult I was apprehensive about starting a life of music. But their reassurance cemented my hopes of following a musical path. Thank you for igniting that path. Miriam and I are so deeply sorry to know of Marj's passing. What a great woman she was. We were blessed to share wonderful times with Marj and Bill, and enjoy their rich and loving hospitality. I regret that we fell out of touch a few years ago. I did send an email or two along the way, but I must have had the wrong addresses. We will always enjoy and treasure memories of being in their homes at WCC and in Becket, and of them in our home in Hopewell. In fact, at this writing, I recall their dropping by for two or three visits, following Commencement - and I smile as I write. Much love to all the family.